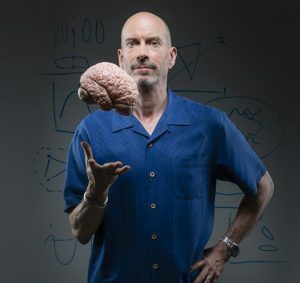 Earl Miller is the Picower Professor of Neuroscience at the Massachusetts Institute of Technology. He received his B.A. in Psychology from Kent State University in 1985 and his Ph.D. in Psychology and Neuroscience in 1990 from Princeton University. He has academic appointments in The Picower Institute for Learning and Memory and the Department of Brain and Cognitive Sciences at MIT. Professor Miller uses experimental and theoretical approaches to study the neural basis of the high-level cognitive functions that underlie complex goal-directed behavior. The focus is on the frontal lobe, the region of the brain most elaborated in humans and linked to neuropsychiatric disorders. His laboratory has provided insights into how categories, concepts, and rules are learned, how attention is focused, and how the brain coordinates thought and action. They have innovated techniques for studying the activity of many neurons in multiple brain areas simultaneously, which has provided insight into how different brain structures interact and collaborate. This work has established a foundation upon which to construct more detailed, mechanistic accounts of how executive control is implemented in the brain and its dysfunction in diseases such as autism, schizophrenia and attention deficit disorder. 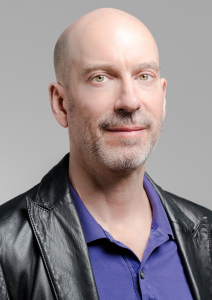 Professor Miller is the recipient of a variety of awards, including the George A. Miller Prize in Cognitive Neuroscience (2019), election to the American Academy of Arts and Sciences (2017), the Goldman-Rakic Prize for Outstanding Achievement in Cognitive Neuroscience (2016), Professional Achievement Award, Kent State University Alumni Association (2015), Amar G. Bose Research Fellow (2014), the National Institute of Mental Health MERIT Award (2010), the Mathilde Solowey Award in the Neurosciences (2007), election to the International Neuropsychological Symposium (2006), Fellow of the American Association for the Advancement of Science (2005), the Picower Chair at MIT (2003), the National Academy of Sciences Troland Research Award (2000), the Society for Neuroscience Young Investigator Award (2000), the Pew Scholar Award (1996), the John Merck Scholar Award (1996), and the McKnight Scholar Award (1996). He has delivered numerous lectures worldwide, serves as editor, and on the editorial boards of, major journals in neuroscience, and on international advisory boards. His paper, “An Integrative Theory of Prefrontal Cortex Function” (Miller and Cohen, 2001), has been designated a Current Classic; it is the 5th most-cited paper in all of neuroscience.